Geronimo approves of this beautiful Speedy Pro on No. 8 Arts & Crafts! A lovely Hamilton 9941a with a custom tachy bezel mod. Very cool! These watches wear great on Arts & Crafts straps. Explorer II on Natural Arts & Crafts. A lovely Epos automatic on Black Arts & Crafts with gray stitching. A fantastic Planet Ocean titanium blue on Navy Arts & Crafts with steel gray stitching. Just right! Absolutely exquisite Omega Deville chronograph on Natural two-piece with Bund pad. Wow. Hamilton Field Mechanical on a Cognac Arts & Crafts. Timeless. 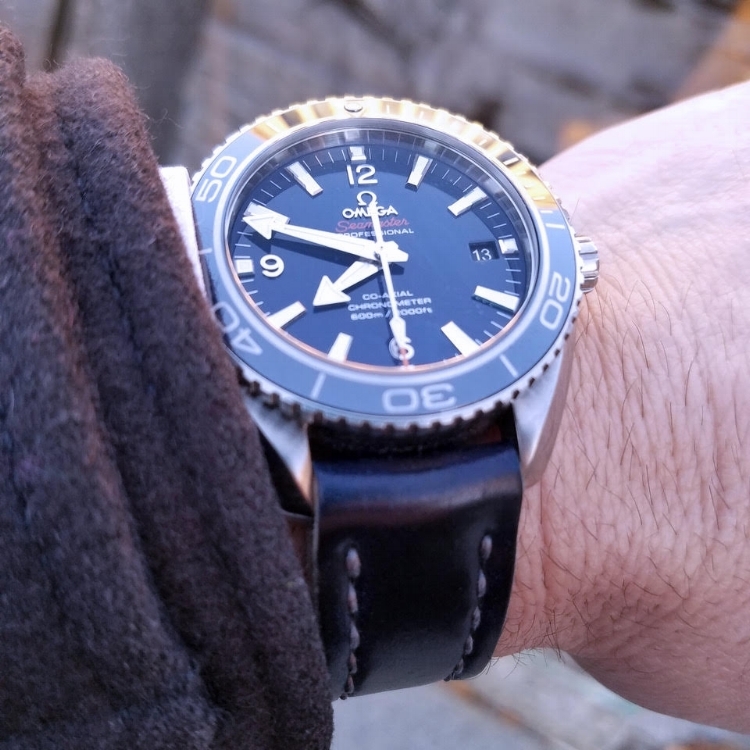 Omega Speedy FOIS on Navy Arts & Crafts. Awesome. 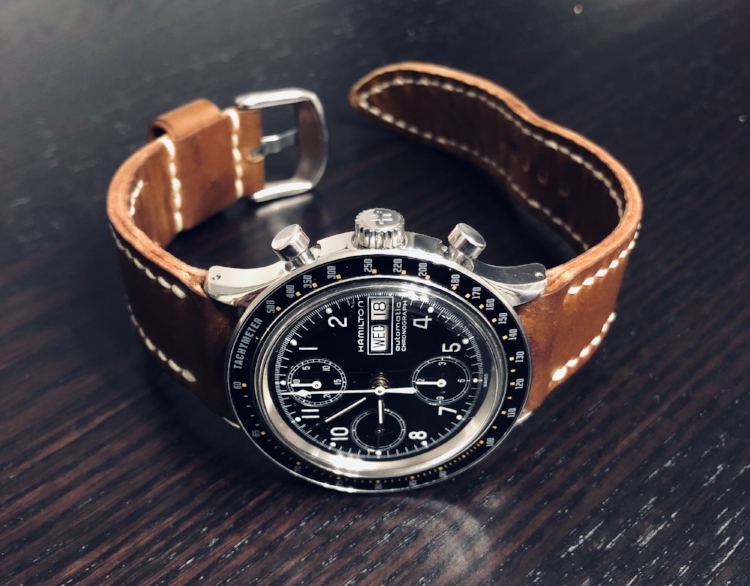 Hamilton Viewmatic on a Bund strap in No. 8 shell. Seiko 6139 on a one-off rally-style Arts & Crafts strap in Black shell. Breitling diver on No. 8 Arts & Crafts after about a year of wear. So nice. A stunning 1965 Submariner ref 5513 on Navy Arts & Crafts. Breathtaking. A beautiful GMT II on Whiskey two-piece with partial seam doubly sewn. Another Speedy Pro on a MIL strap. This watch cannot be beat for looking good on any shell strap! Vintage Benrus Sky Chief on a No. 8 one-piece. Tissot Seastar on a Whiskey MIL strap. Hamilton Khaki Auto on a Natural Arts & Crafts. A classic combo. A fantastic caliber 321 Speedy on two-piece tack-stitched Natural strap. Submariner ref 14060M on Mahogany Arts & Crafts. 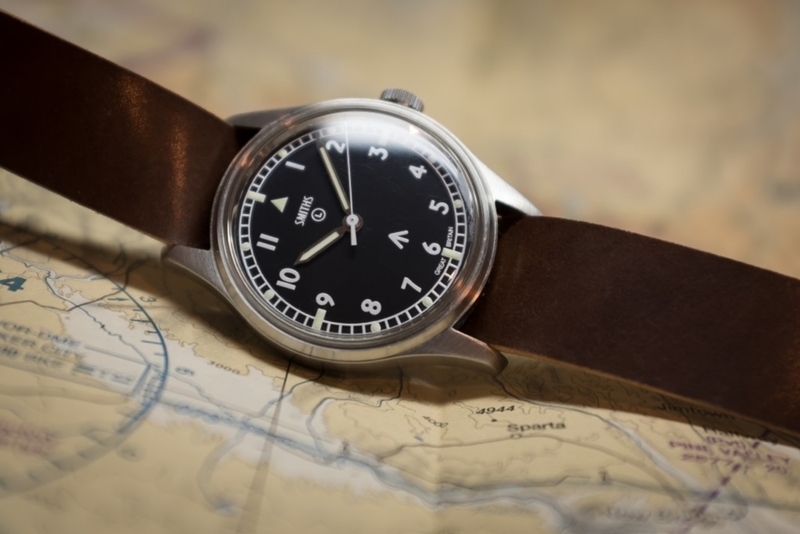 Vintage Longines on a Whiskey Arts & Crafts. Bremont Auto on a Cognac two-piece with double-sewn partial seams. Lemania WWW on Cognac One-Piece. Speedy ref 3570 on a No. 8 MIL strap. 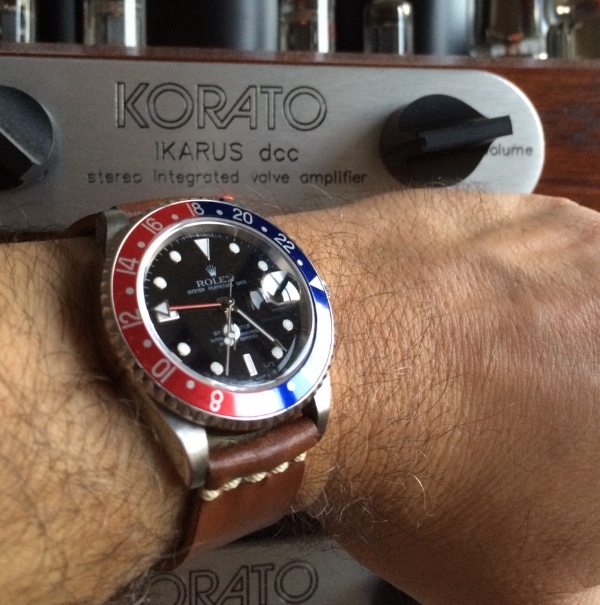 GMT II on Whiskey Club Strap.